Up until now, it has not been possible for Model 3 reservation holders to find out how soon customers will be getting their Model 3 as the RN featured on MyTesla page doesn't determine where you are in the queue. 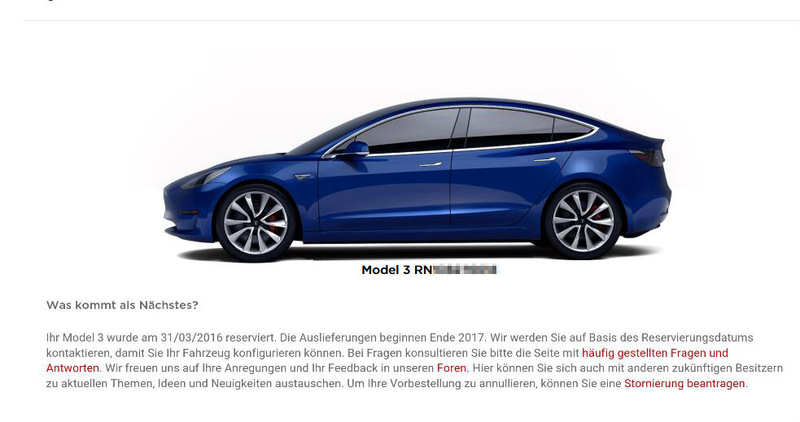 This might change soon, as one of the Tesla Motors Club forum members did some investigating in the html source of Model 3 MyTesla page to find out that - in addition to the RN number in the source code - there is another ReservationId value in there that could determine how far in the queue your order is. Members of the forum have been collecting those values - with last digits omitted for privacy concerns - along with the order timestamp in order to assess if there are any correlations, and so far they are on to something. As you can see in the chart below, the time the reservation was made and the ReservationId number next to it have an order, the earlier the reservation has been made, the smaller the ReservationId value is. Some values might be time stamped earlier than others, that might have to do with the location/timezone the order has been put in place. If you'd like to find out what your ReservationId is, open MyTesla page where you Model 3 order is and inspect the source code, or paste this code below in the address bar, then a popup will reveal the number there. Looks like the ReservationId values are starting from 300,000. Still that does not explain if those values corroborate a single sequential reservation number. We'll update when there is any breakthrough. Feel free to fill in your ReservationId here and see where you stand in this excel sheet of reservation holders list here, We advise you to omit at least the 2 last digits to keep your information private. UPDATE: Seems Tesla has silently removed the ability to view your ReservationId online. I reserve my tesla with the website one hour before the presentation. I live in Canada Quebec. ??? 425xxx??? so, meaning 125 000th person? with 115 000 vehicles ordered in that first 24 hours? This does't make any sense at all. I expect to be in the first 100 000 people to get theirs, and being in Canada, where we don't have a 200 000 cap, perhaps sooner. I'm in Niagara, Canada, where are you?